If you didn't know, 3 Concept Eyes or 3CE cosmetics is launched by the ever famous STYLENANDA from Korea since January 2009. Why 3? It's because most of their colour range for each product consists of 3 colours - Pink, Orange and Beige - for 3 different looks. Without a doubt, they're the most popular and trendy cosmetics brand on the Internet right now! I personally like their products for its quality and packaging! The makeup range aims to give ladies a trendy, confident and elegant feel. Let's kick off the review with two simple items, lovingly sponsored by Skincandy.co. Skincandy is an online site founded by my dear friend and fellow blogger, Audrey. 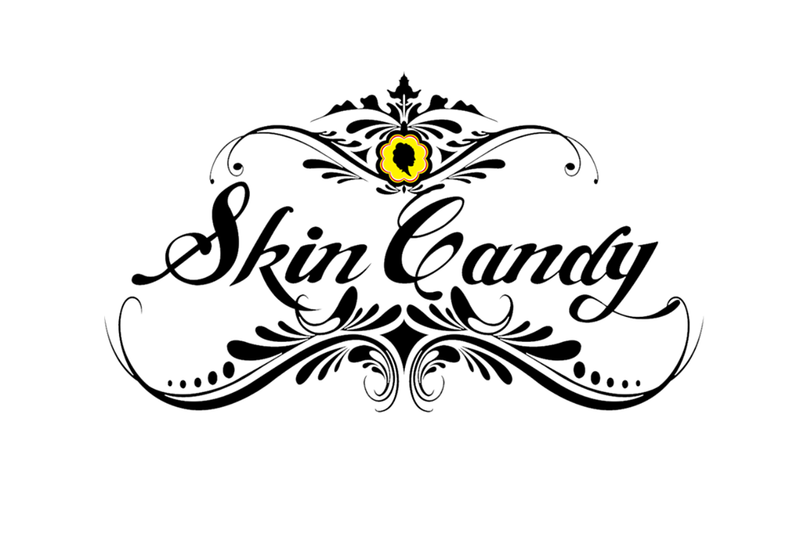 Skincandy brings in 100% authentic beauty products aka skin candies directly from Korea, Taiwan & Japan, at a super reasonable price! To quote, "At Skincandy.co, we believe in quality in both goods and services. It's not only about the goods, but the experience you bring home!" Well said. No matter how busy, Skincandy will definitely make time for their customers and try their best to reply any queries ASAP. Just look at the feedback Skincandy's gotten so far, super efficient and friendly! Don't be mistaken, they carry other brands too aside from 3CE! You can find brands like Bevy C, Bonanza, Miss Bow Bow, UNT and LJH Cosmetics from them too! Recently, they have just become an affliate for LJH Cosmetics from Korea and the partner of sole distributor Lady Bird cosmetics (brand ambassador Lena Fuji) from Japan & BeiWei 23.5 from Taiwan. Whoaaa. The 3 Concept Eyes Eyebrow Shaper is basically an eyebrow pencil. They just gave it a fancy name, huh. Lol. At 1.8g, the pencil is light and small enough to carry around in my makeup pouch. As you can see, there is a thin black strip there which is to ensure the product's authenticity. On the product, it says that it is "powdery and easy" to fill in your brows, without lumping. It also claims to last the whole day and will not be affected by sweat and oil! There are many 3CE dupes in the market now, that it can be hard to spot an authentic one. Fortunately, Skincandy only carries authentic goods and I'll teach you a simple trick on how to spot the difference between a real and fake 3CE product. All their products comes with a thin black sticker strip that ensures it is authentic and unopened. No idea what the sticker reads because it's in Korean, but if you spot a broken or torn sticker, send that item back and insist on a new one!! Also, the real 3CE has the words "MADE IN KOREA" on all of it. Of course, that can be imitated lah.. The wordings behind the box is also a give away as I'm quite sure all the product information are written in Korean, on a white sticker usually. For more details, you can visit Jean Kuah's blog here to learn more on how to spot the difference. The eyebrow shaper is also really easy to use because the colour goes on strong but leaves you with thin, feathery strokes. This colour is slighly darker than brown and is suitable for people with darker coloured hair. Your brows are the frames to your eyes, the frames to the windows of your soul. In every makeup step, you mustn't neglect the brows because they can really change up your look! I never knew the importance of the brows until I saw how silly I look in photos with a full face of makeup and no brows -_- Looks so naked around the forehead and lifeless LOL. So now I never leave the house without drawing my brows! To begin, you should mark the positions of where you should draw the brow lines. How long should they be? A tip is to use your pencil and the side of your nose acts as the "pivot" for you to gauge where to draw. Also, I do it from end-to-end then I'll mark the arch and lastly outline my brows before I fill them in. Sorry if my tutorial isn't very clear, didn't manage to take pics for some steps..
1. Place the pencil vertically against the side of your nose. It will give you the "head" to draw. Mark that position with a short vertical line! 2. Tilting the pencil, mark the "tail" of the brow. Make sure the pencil end is still at the side of your nose and mark that brow end. This should give you just the right position to end your brows, else it might look too long lol. 3. Find your browbone and bring the pencil to the side of your nose. Mark that area. It is that arched area when you feel your brow area. Some people prefer to draw straight brows but I've never tried it before so I suppose you could skip this step if you do that..
4. After you've marked the positions, you can outline the thickness and shape that you want and fill them in! Different shaped brows creates different looks. The secret is to natural looking brows is to use fast, thin strokes so they look more like real "hairs". You can already see my brow colour darkening! Kinda simple, right? The strokes are so subtle yet smooth! 6. (optional) You can then add highlighter or a shimmery peach colour below your brow to make your brows 'pop'! I tell you, got difference one if you draw and don't draw your brows.... I like this colour because it is quite close to my natural brow colour which makes it look like I have naturally thick brows lolol #cheatone. I wouldn't say that it is long-lasting because by the end of the day I usually see the colour on the front of my brows have faded but it's totally ok for a short date! Also, it can be easily removed with a swipe of makeup remover. Did I mention that I love their chic packaging? Black box with pink interior, super love! The sharpener has a detachable transparent cap so that your sharpened pencil debris doesn't fly everywhere. This dual sharpener (<- I can never type this correctly at first try) is small and compact. With dual ends of different sizes, you can sharpen both makeup pencils and crayons at the same time. The thing about pencils is that they will become blunt. So after using your 3CE Eyebrow Shaper and it becomes blunt, you should sharpen it so you can still get sharp, thin strokes. 1. Insert the pencil in the smaller hole. 3. Tadaa! Smooth, sharpened tip! 4. Remember to clean the sharpener after each use to ensure it doesn't rust and prolong its lifespan haha. And please ah, use a stick or something and don't put your fingers inside the holes because the blades can cut! Excited yet? K I know this isn't one of the much-raved about items from 3CE but we'll slowly get there! If you're keen to get the AUTHENTIC 3CE Eyebrow Shaper and Dual Sharpener, they're priced at RM55 and RM20 respectively from Skincandy. Click on my sidebar widget under "SkincandyCo Ambassador" for direct access to their page (website coming soon)! AHEM. I have good news for you, my readers! You can get RM5 off any purchase when you quote "CARINNXSC5". The code is valid until 4th July 2014. Plus, they are having a special Parents' Day promotion now and all items are entitled to 10% discount until the end of June! So, you'll get your 3CE cosmetics at super affordable price omg???? Don't forget, they carry other brands too aside from 3CE so be sure to check out their albums on Facebook or contact the owner directly to get more informaton yea? Skincandy.co do provide meetup/ COD for JB and Singapore customers at specific locations. For Singapore : Little India/ Bugis MRT- time to be advise. For COD, do contact Skincandy.co for more details and arrangement. Sorry if this post is a bit too long. The rest won't be as naggy, I promise! If you like this post, do watch this space for my other upcoming 3CE posts :) In the meantime, faster go grab your skin candies! Disclaimer: Even though the products are sponsored, the review is based on my honest personal thoughts, experiences and preference after trying out the product and service. Woot! Something new to share with my girlfriend. Thanks!!! Great review. Enjoyed reading this. Thank you for sharing your link of your blog with me. This was a very interesting and detailed post. Definitely looking forward to read more posts from you! Carinn x OOTD: Who Says White Has To Be Boring? Shopping: Hermo 2nd Anniversary SALE!